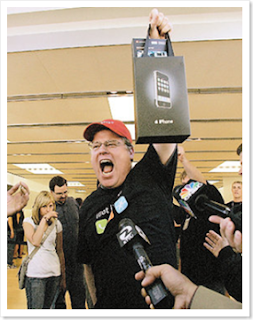 The Secret Diary of Steve Jobs : Scoble banished from Facebook. We’re trying to see if we can banish him from Apple too. Scoble banished from Facebook. We’re trying to see if we can banish him from Apple too. What I’m wondering is whether anyone will counter the pro-Scoble group by starting a “Keep Robert Scoble off Facebook” group. And if not, why not? Someone create this thing and we’ll drive as many people as possible to it. Meanwhile we’re trying to figure out if we can banish Scoble from using Apple products or visiting Apple retail stores. From what I’m told others have picked up on the same idea. Google wants him off their apps. Twitter says he’s eating up too much bandwidth. Here’s a thought. Why not banish Robert Scoble from the Internet altogether? Is that even possible? Moshe says he’s looking into it.